and count to ten. That’s better. Where do the Packers go from here? Let us breakdown each area of the team. The offense line of the Packers. Where do I begin? First, we need to get more aggressive and bigger at the tackles. The first picks by Thompson should be tackles in the draft. Bryan Bulaga is not the answer and Derek Sherrod may not make it back from injury. I believe Josh Sitton and TJ Lang are adequate enough guards. Evan Deitrich-Smith at center in my opinion doesn’t have enough games under his belt to make an assessment of his abilities. Saturday will be gone after this season so Thompson probably will have to address that position in the draft. The receiving corps will be interesting mix. Driver, Jennings, and Finley are gone. Unless Thompson feels he cannot fill their spots, which Thompson doesn’t. McCarthy believes he can build an offense around Cobb. Not a bad idea but for the fact he tried that with Finely. We all know how that turned out. I think the tight end position is going to one of our bright spots. The Packers need to get back to the days of tight ends like Mark Chmura, Paul Coffman, Ed West, and Keith Jackson. These tight ends were security blankets and possession tight ends. Rodgers needs a tight end like this for 3rd and five. I believe he has that with Crabtree, DJ Williams, Ryan Taylor they just need more reps. The running back position is okay. Grant and Starks are gone. Thompson will not keep them after Dujuan Harris played so well in his limited time. Cedric Benson is a keeper because he played pretty well even behind an average line. Special Teams this is easy. We need kicker and returner, easier said than done. Hopefully, we can find a gem in later rounds of the draft. The defense is interesting. That’s because we have a nice group of veterans and youth. The rookies were thrown into the fire and for the most part played very well. Unfortunately, I think it’s time to let Woodson go. 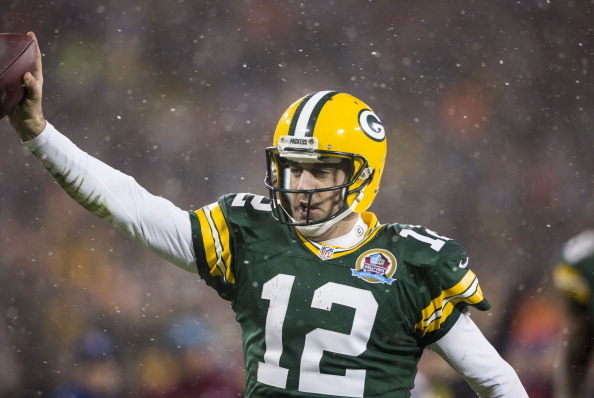 He has been a warrior and he has done so much for the Packers. When the Packers let Reggie White go it was hard but it had to be done. Woodson has lost a step and looks out of place at safety. Defensive line is the issue Pickett looks old and like Woodson is no longer the player the Packers can count on. Daniels and Worthy are 3rd down lineman at best. Raji wants a big payday and will most likely get it. Our line-backers are a solid unit. That’s when they are healthy. Matthews will get paid and hopefully be worth the money. Bishop, Williams, Perry, Moses, Manning are good line-backer’s. They just need to stay on the field. It would be nice to find an athletic strong line backer to be able to stop quarterbacks like Russell Wilson. Good Luck with that in the draft. I know I forgot Hawk but like his play on the field he’s easy to forget. Release him and use the money for Matthews. The secondary is good. Williams needs to play more consistent hopefully he will and not worry about getting hurt. Casey Hayward with this year under his belt will only improve. The safety position still misses Collins. MD Jennings and Burnett are okay, they have been asked to do a lot. It’s not easy filling in for a three time pro bowler. Coaching is the key to next season. McCarthy needs to find another Philbin. He seemed to work better with someone helping him with the plays. Capers has let the game pass him by. It’s the same reason he never was a successful head coach. He cannot adapt and make the necessary changes to stop a Kapernick or Wilson. It’s a brand new NFL and Capers is not a part of it. The Packers need to find an aggressive and adaptive defense coordinator. Special teams with Sloccum has improved and he is worth keeping for now. 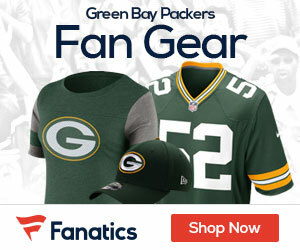 The Packers have a five year window before the decline of the franchise. I believe that to be true. Thompson and McCarthy cannot keep Packer fans happy by losing in the divisional round each year. Green Bay is called TITLETOWN for a reason. Both Offensive and Defensive lines are way below average! Capers had no clue how to stop Kapernick. I’m getting tired of watching the Packers get run over in the playoffs! They’re soft! Rodgers can make up for a lot of things, but not both lines being overmatched in EVERY playoff game. The only reason the won the Super Bowl 2 years ago was because Rodgers was white hot, and he covered most of this teams weaknesses! Capers needs to go, Kevin Greene might be interesting at Defensive Coordinator. Raji is way overrated, d-line is terrible. Capers should have went a year ago. As for o-line, mediocre at best. Only bright spot is Deitrich-Smith, at least he is versatile can play all positions. Finley should have been gone two years ago. Tramon Williams, needs to learn how to not play two hand touch and tackle. I say we still need a running back, Harris may be the answer, but Benson may be injury prone. Other than that, no I will not give up my season tickets, still love the Pack, but as they always say Defense does win Championships, but having a hot Rodgers in December, January and first weekend in February does help significantly. Hawk is a great run stopper, so I disagree we can’t release him. Secondary cant tackle so I would put that above the D line. Why do you think guys like AP run all over us? Bc Woodson is the only good tackler in the secondary. We need another big strong corner that can tackle. Woodson should not be dealt either. You can’t just release everyone when you are a little let down. Certain guys need to stay for team morale, which is what the pack is notorious for. You are right about Woodson and the secondary do need a change over bad. We have a couple of good coners like Sam Sheilds, Tramon Williams both played good but needs a little more coaching so we should hold on to them but I agree we need a big pyshical corner. We need a pyshical,punishing secondary that will make anyone think twice about our secondary and I do not think Dom Capers can provide that for us. I wish we could have got Rob Ryan, man I mean even Lovie Smith,Gus Bradley, Dave Wannstedt I think would work out.